Designed to ensure maximum retention and excellent integration, SRG brings to you our review bundles! Different combinations of various review services to suit all your learning needs. All aimed to secure that professional license and guarantee your success! Choose your bundle and enroll now! 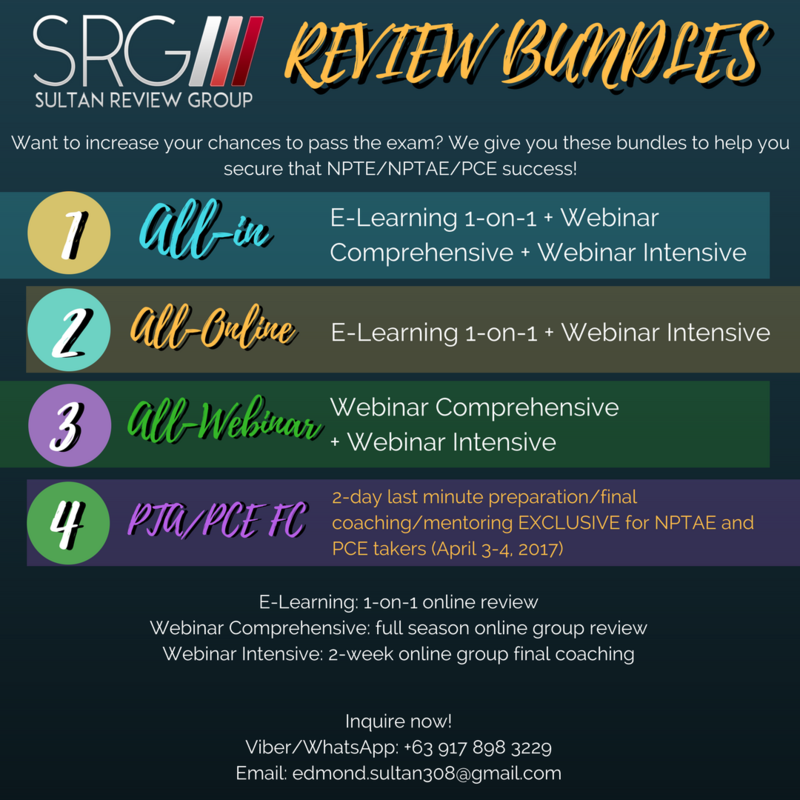 Previous Entry:2 days left until the most awaited Worldwide Intensive Webinar Review for the NPTE, NPTAE and PCE!